Bayshore Fine Art Storage’s unique “box in a box” storage system provides the ultimate in safety and security. We literally build high-end two-story buildings inside our giant warehouses, so there are no exterior walls that have contact with any artwork. 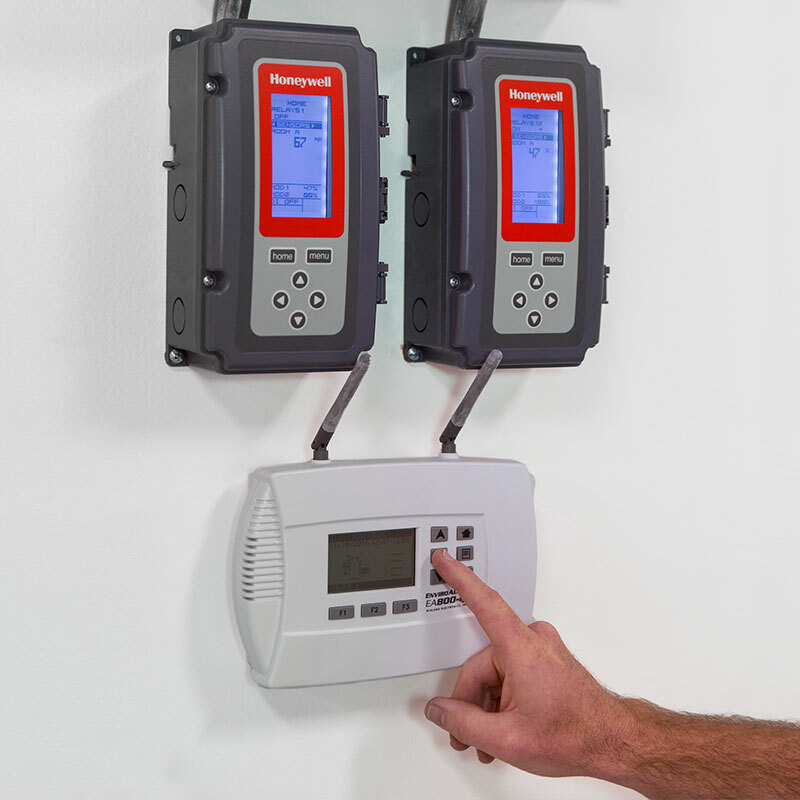 We have built additional redundancy into every aspect of our operations — dual alarms for security, backup systems for temperature and humidity control, and for power generation as well. Our warehouse itself is climate-controlled and equipped with a full generator capable of powering the entire building. It has a 24/7 alarm system that is disabled only when receiving or releasing artwork, as well as motion, door contact, temperature, humidity and audio alarms, plus security cameras. Each of our Environmental Rooms functions as an individual, free-standing unit, constructed to meet U.L. security standards. Each room is temperature controlled at 67 degrees, and humidity controlled at 50%, monitored 24/7. Each room has its own fire and burglar alarms, motion and door contact alarms, interior water bugs (a water detection system) and an early smoke detection system. Surveillance cameras monitor the exterior of each room, and interior cameras are available as an option. 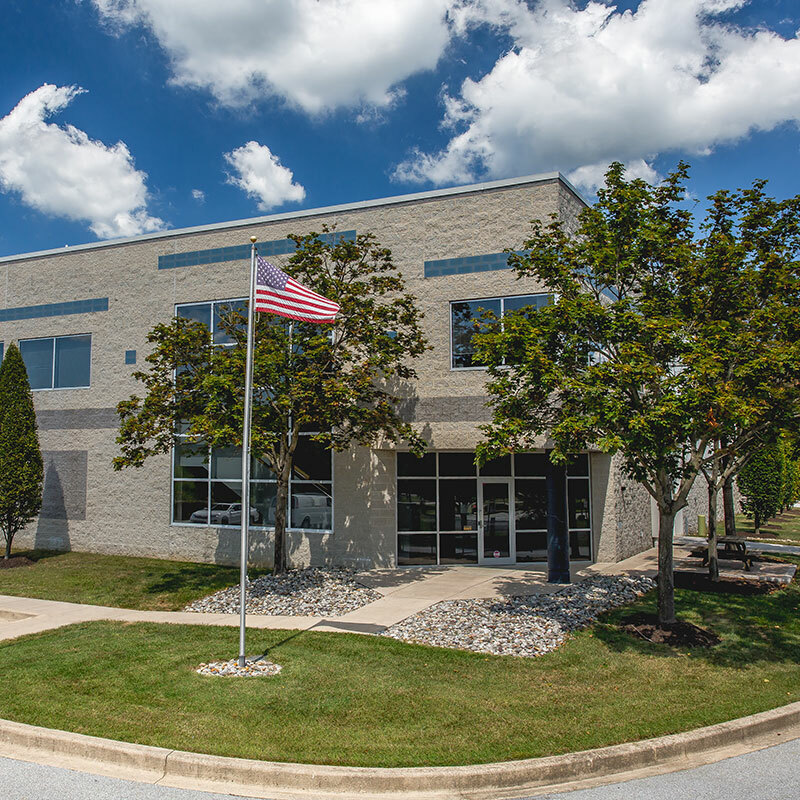 The upper level of our Environmental Rooms is protected by EPDM roofing, a durable, environmentally friendly material recognized for its ability to minimize air conditioning costs. When looking for a place to store your artwork, you want a facility that offers the best in security, safety and service. Bayshore Fine Art Storage delivers all of that — and more — with our “Box in a Box” vault construction, redundant operating systems, the services of a personal art storage coordinator, and easy access to the owners of a family-owned business that has four generations of experience in the storage industry. We are confident that Bayshore’s state-of-the-art facilities are the right choice for the storage of your fine art collection. When you entrust your art collection to Bayshore, we leave nothing to chance. Before you ship any artwork to our storage facility, you will be asked to provide an itemized list of contents, along with the estimated delivery time and other pertinent details. Before the shipment is on the road, we will contact you by phone to verify all of the details. We then notify our art handlers, so they know what to expect when your artwork arrives. To ensure security, we require clients and art transporters to give us the full names of individuals involved in the shipping process, and we verify identities by matching photo IDs before unloading begins. After the driver leaves, our handlers carry each item to your Environmental Room. Each piece of art is labeled with two easily identifiable inventory stickers, one on each side of its crating, to minimize the need for subsequent movement. All items are carefully placed on shelves, blocked off the floor, or otherwise blocked so they do not lean directly against the walls. When everything is properly positioned, the door to your Environmental Room is locked and alarmed. Your artwork will not be removed from the room until you give specific instructions for us to do so. As you know, for storing works or art, the best light is no light at all, so all of our rooms are pitch dark. The team members who will be handling your art have been chosen with care. 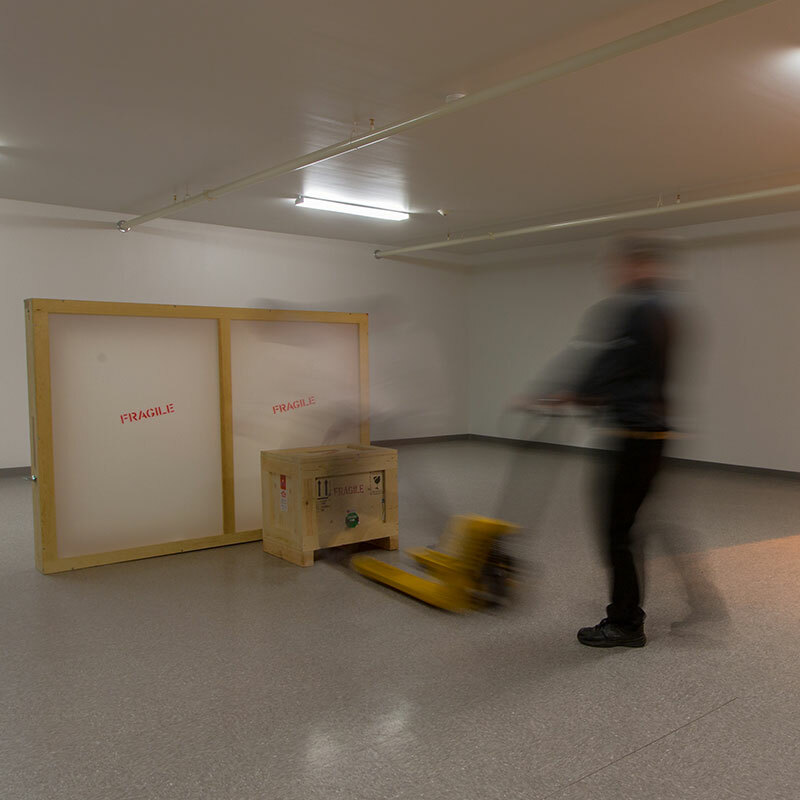 Bayshore employees must have a minimum of six months of experience within our moving division before being nominated to work in fine art storage. Those who are chosen then undergo six months of training — learning the best practices through a combination of reading and study and hands-on experience. In addition, everyone on our staff has been drug tested and background checked. Any Bayshore employee who touches your artwork will have at least one year of experience with our company — and, in most cases, much more than that. 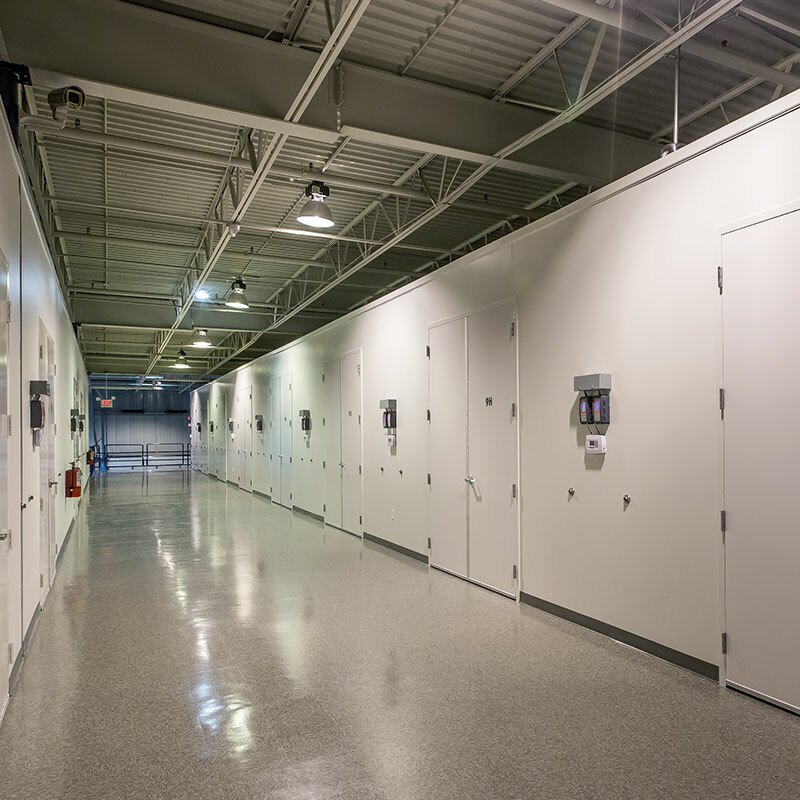 We are confident that Bayshore’s state-of-the-art facilities are the right choice for the storage of your fine art collection.